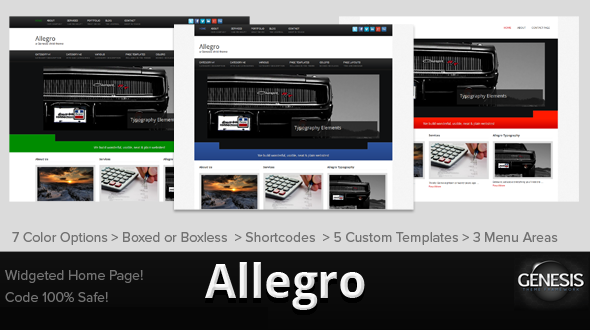 Allegro is a neat theme for the Genesis framework. 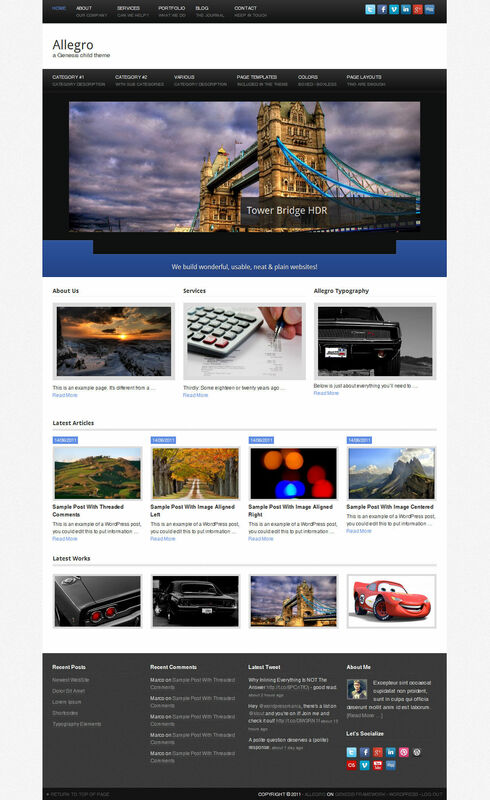 You can use it for business, corporate, services, product catalogue, portfolio and magazine/blog web sites. You can choose between a boxed or boxless main layout each with 7 colors. 2. Grid Blog Template. It shows the newest published post with a full width feature image while the rest of the posts are shown in a grid. 3. Custom Site Archive Template – It shows the last 30 posts, the list by month and the categories. 4. 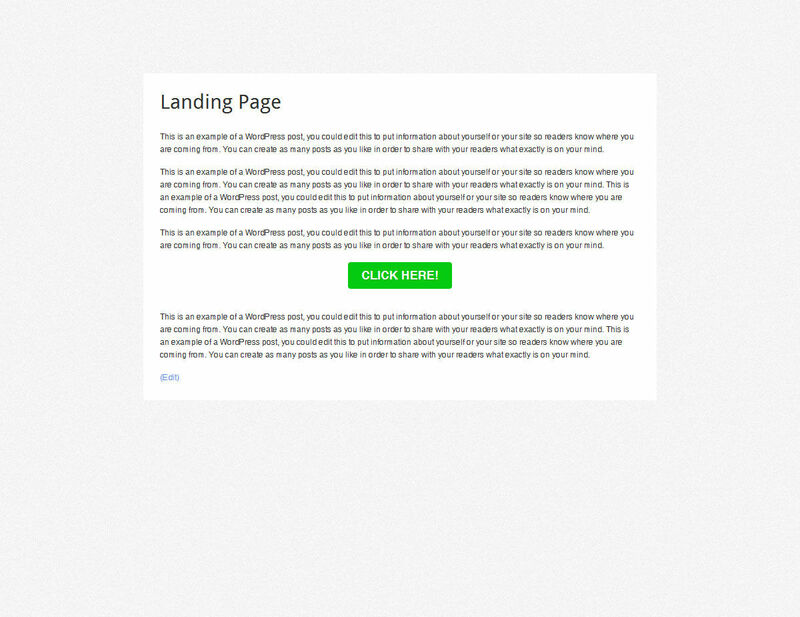 Landing Page Template – A page with only content, 720px width, that you can use as many times you want for different uses. 5. Portfolio Template – Built over Genesis Grid. It is an archive-category template (Portfolio). Allegro ensures maximum adherence to the Genesis coding standards. 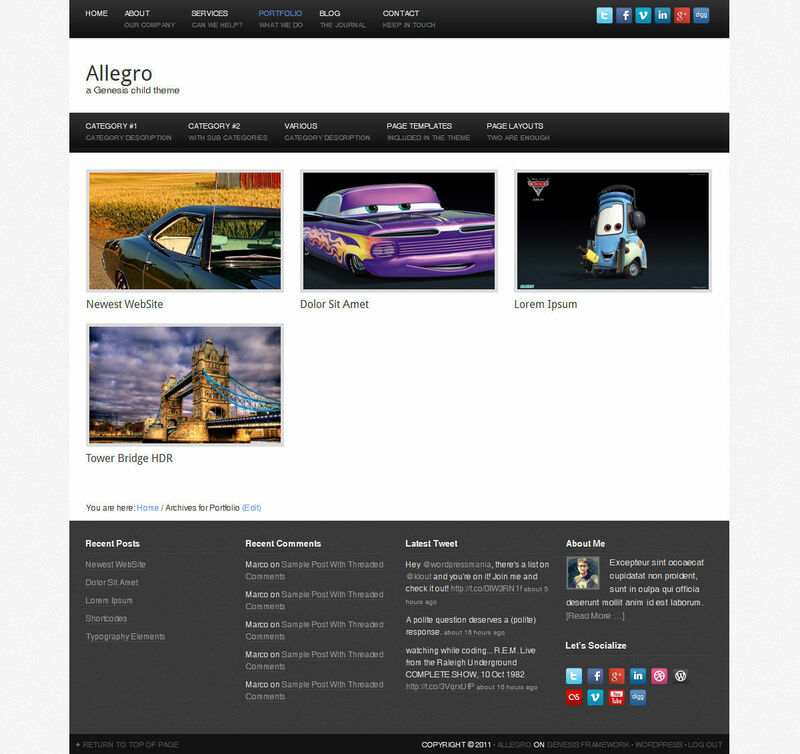 A light version of Elegant Themes shortcodes (GPL 2.0) is included in the theme.